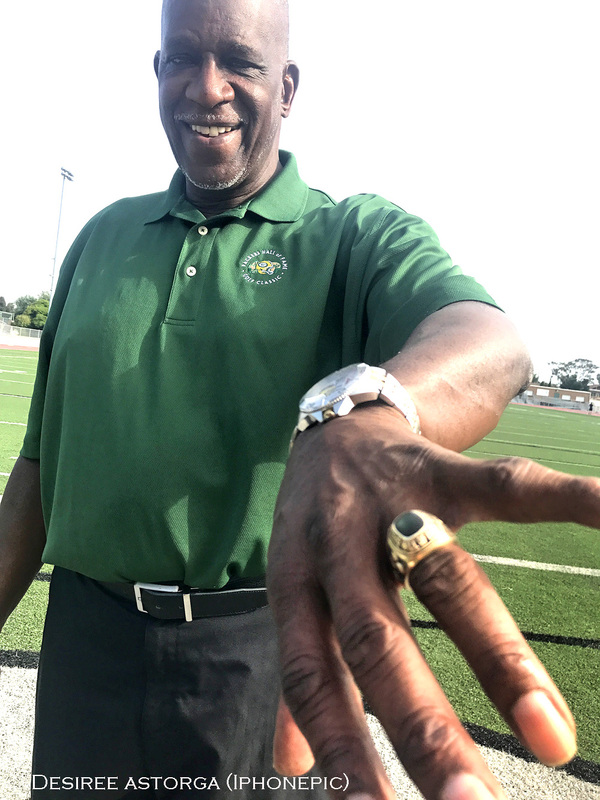 Willie James Buchanon was born in Oceanside the city where he resides presently, although he went on to have a prolific career in the NFL, he came back and re-planted when his children were old enough to go to school. He seeded his real estate business in the same town, one that helps makes dreams possible, so that others could also enjoy it. He bleeds green and continues to give back to the youth and community. 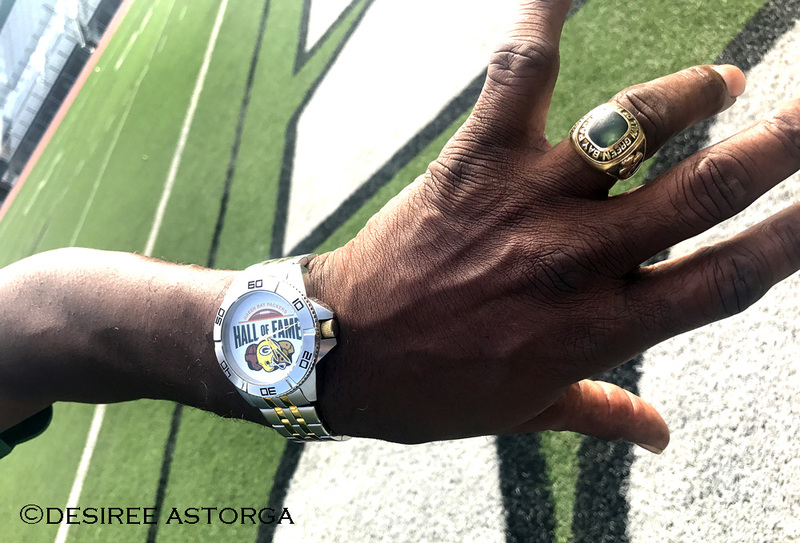 A husband, a father, a Hall of Famer, 2 x Pro Bowler, a track coach, a golfer, a business owner and more with a list of accolades, yet when I speak to former team mates it’s not just about his conduct on the field, his leadership or his captain characteristics, it is also about what he does to impact the kids and his locality. He truly cares, with integrity, service and respect engrained in his soul. 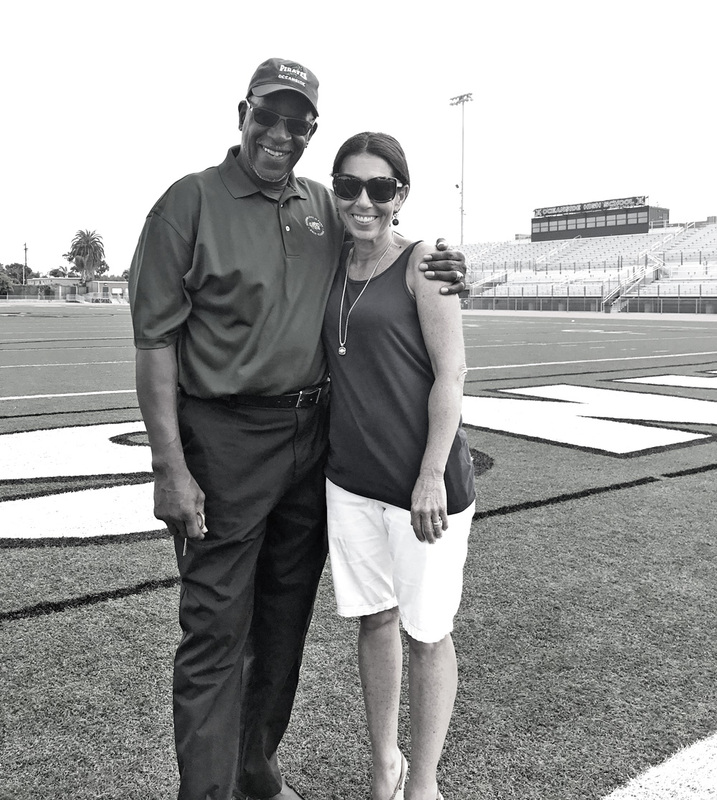 Willie has an inventory of merits, but what you might not know is that he will be celebrating 39 years of marriage next week with his beautiful wife Gwen, or that he was drafted in the first round by the Padres in 1969, but decided he wanted to play football, get an education and graduate from college. He went on to Mira Costa College where he also started a golf tournament to help get a baseball coach that became the Buchanon Youth Foundation, an organization, which gives to local high schools and funds under funded sports. Always smiling and giving back! On to San Diego State where he graduated and was voted MVP in the East West Shrine game of 1971. Became the Green Bay Packers first round draft choice, pick number 7, where he helped bring an under 500 team to 1st in the NFC Central and the honor of NFL Defensive Rookie of the Year in 1972. Number 28’s love for football, sports and being a Pirate is deep rooted, his father worked for the school system. 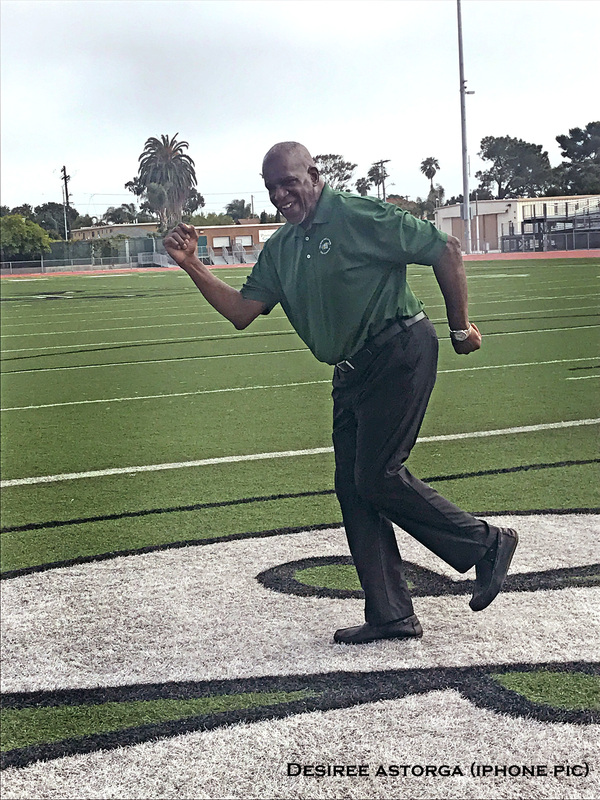 He used to help his dad set up for the Oceanside football games, turning the lights on and off, placing the numbers on the field and the flags in the end zone. He continues to be apart of OHS helping mold young adults as the track coach for the last few decades. In his final year as a Packer he led the team with 9 interceptions, 4 of those came on September 24, 1978 against the San Diego Chargers, the team he would play for the remaining 4 seasons of his NFL career and in those years tied the NFL All-Time record for most recoveries in a game. Willie was inducted into the Green Bay Packers Hall of Fame and is a member of the San Diego Chargers 50th Anniversary Team. Willie continues to nurture the youth and Oceanside with love extending his care thru multiple charities and foundations as well as sharing the gift of finding a home in this gorgeous place. Thank you Willie for being the man that you are!